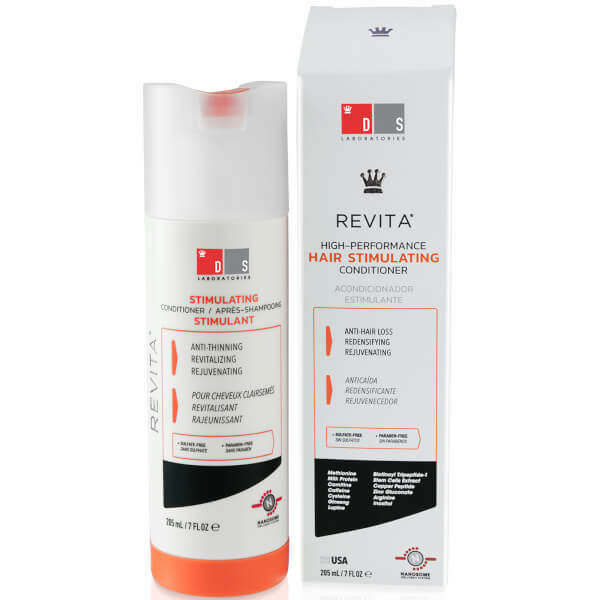 Give your hair and confidence a boost with the DS Laboratories Revita Conditioner; a high-performance, hair stimulating conditioner that helps delay hair loss and support regrowth. Helping to maintain scalp vitality and deliver nutritional properties, the advanced formula utilises Caffeine to prolong hair-follicle life, and an advanced delivery system of bio-adhesive, cationically charged micro-spheres, which penetrate deeper and persist longer to deliver maximum benefits. Hair feels hydrated, restored and preserved. Massage thoroughly into the scalp and leave it on for two minutes. Rinse. Use daily.